Really nice keyboard, and would definitely recommend! Full Disclaimer: I have only been using this keyboard for about 2 hours. The opinions shared here may change over time, and if they do, I will update the blog post to reflect this. 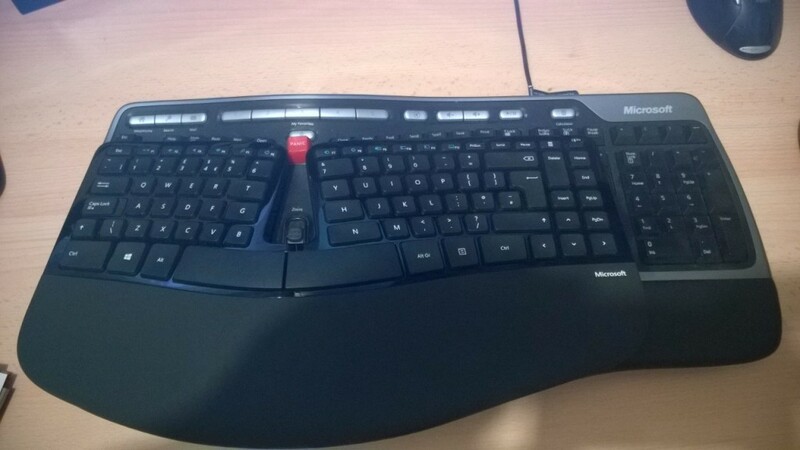 When I was given some Amazon vouchers as part of my leaving present, I thought that this would be the perfect opportunity to get the new keyboard, and so I bought this. With the aid of a toggle switch, each function key can be used as a shortcut for Windows 8 functions, such as Search, Share, Settings, etc. This isn’t something that I think I will be making use of. I will keep it in Function Key mode, and simply use keyboard shortcuts like "Windows+C" to get to the required functionality. Initially, the split space bar seemed a little to me, however, having used it, this makes sense. I typically hit the space bar with my right thumb, and I am finding it much easier to press, as you are not having to depress a much larger key. When I took the mouse out of the box, my immediate reaction was, euch! What is that bulbous, monstrosity! However, having used it for a while, I am actually getting used to it, and I think I will like it. The addition of the Windows key, to take you to the Start Screen is a nice touch, and the back button (which I have come to rely on with my mice) is a very welcome addition. 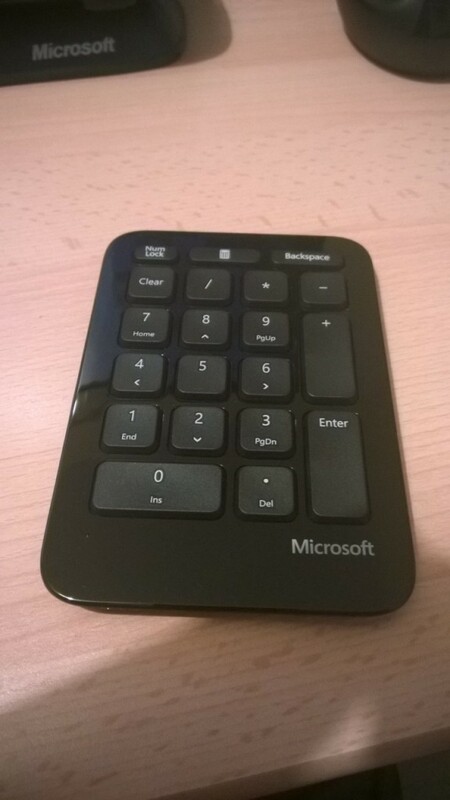 What can I say, it’s a Number Pad. It does exactly what it says on the tin. While using the trio of devices, I have found myself looking for the Number Pad directly to the right of the keyboard (when entering an IP address, for instance) and it hasn’t been there. I think that will take a minute to get used to, but on the whole, the Number Pad is not a common input mechanism for me, so I don’t think I will mind having to move further to find it when required. 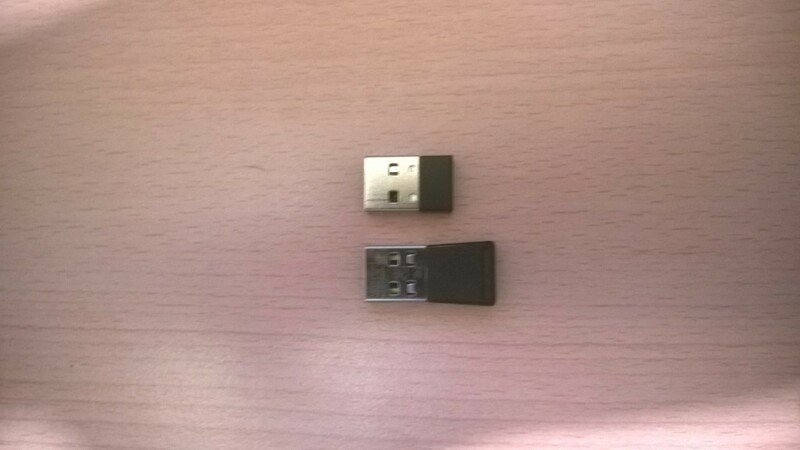 The only thing I can think is that it needs to be larger due to the fact that it is a single transceiver for all three devices. 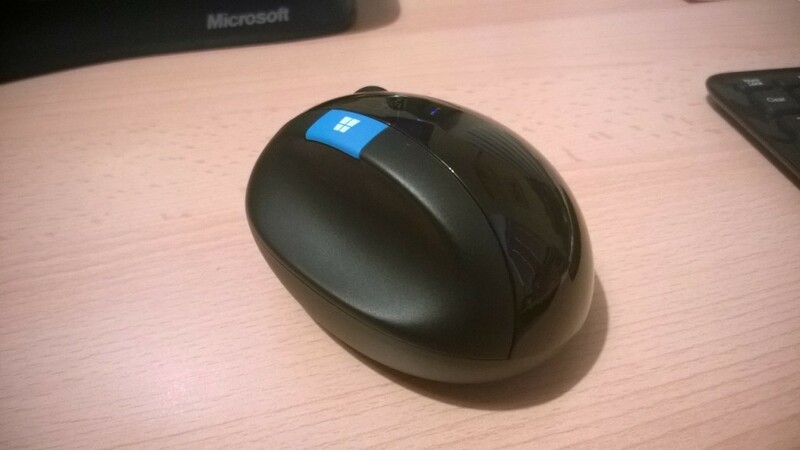 When not required, or being transported, there is a slot in the inside of the mouse for storing it. Again, this is a magnetized slot, so immediately when stored, it feels secure. This really was a snap! Took everything out of the box, removed the battery savings strips, plugged in the transceiver, small driver install, and everything worked. I am running Windows 8.1.